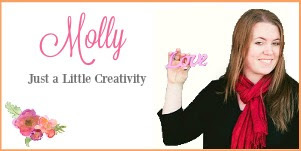 Hello readers, this is Molly from Just a Little Creativity. I can't believe it's Christmas week! I also can't believe I've been contributing here once a month for a whole year, it's gone by so fast and it's been a lot of fun! This is the last post I'll be sharing with you for 2016, and I hope you enjoy it. These precious little Waldorf style Santa Clause and Mrs. 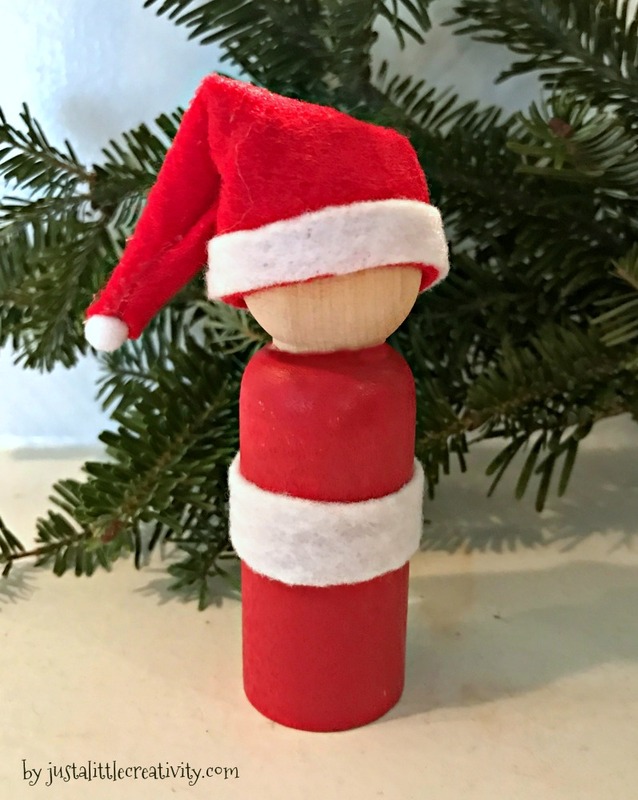 Clause dolls are easy to create, and make unique stocking stuffers or even ornaments. 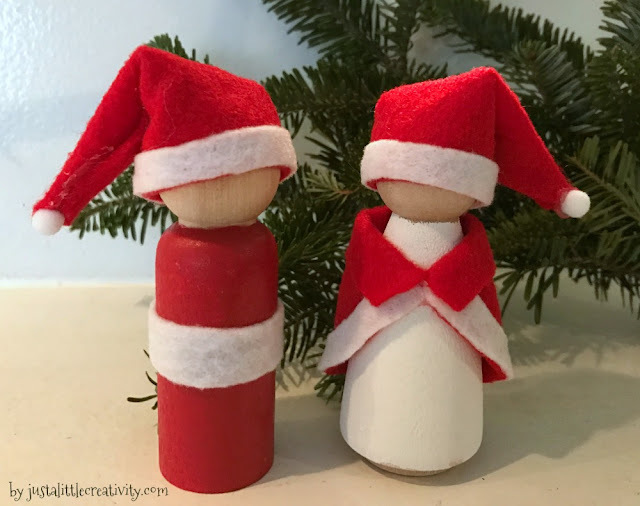 If you enjoyed the Rustic Snowmen I shared last month, then these peg dolls will be a fun compliment with those to your Christmas home decor. 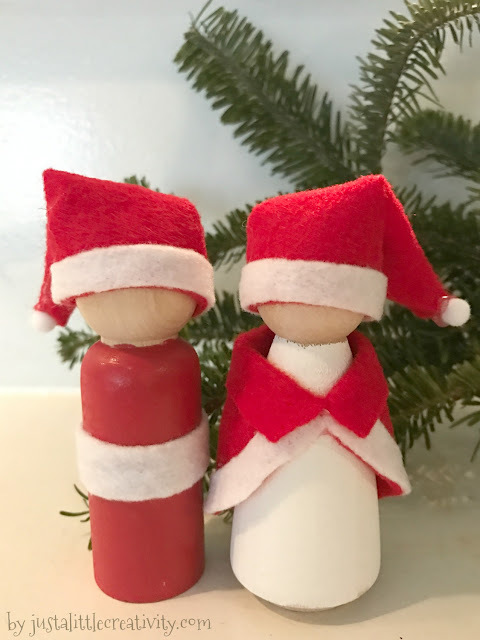 I've made several styles of these peg dolls over the years and have shared the tutorials over at Just a Little Creativity. I'll use my Amazon affiliate links for you to find the supplies you'll need easily online, but be sure you can find everything at your local craft store as well. 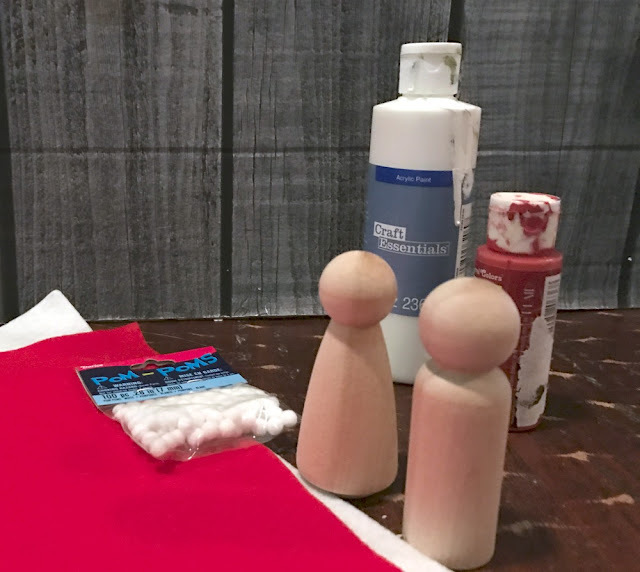 First, paint your boy doll body red, and your girl doll body white. 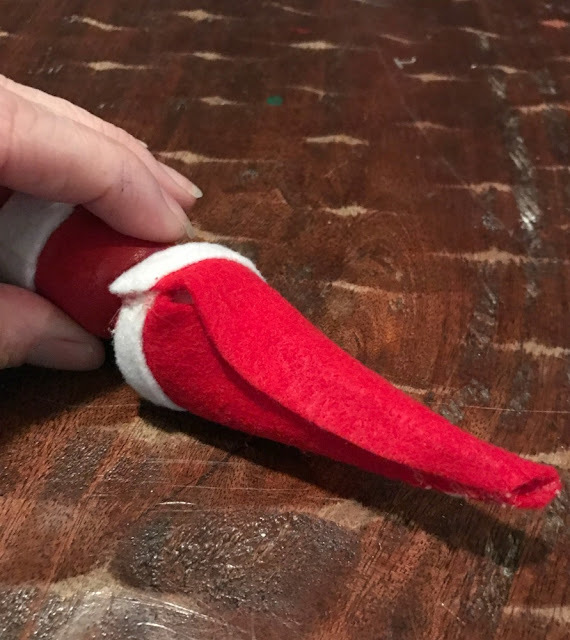 Next, cut the two Santa caps and Mrs. 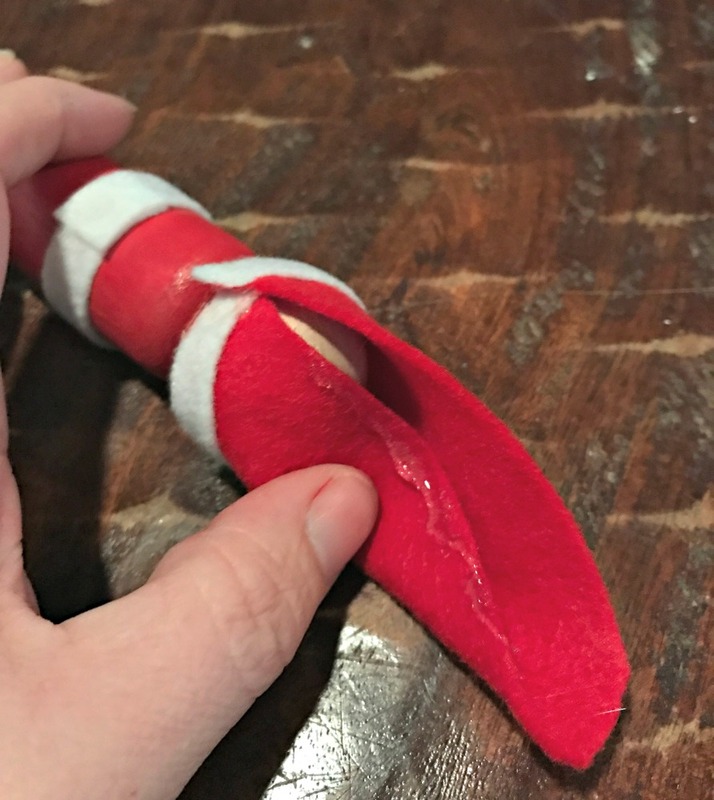 Clause's cape from the red felt. 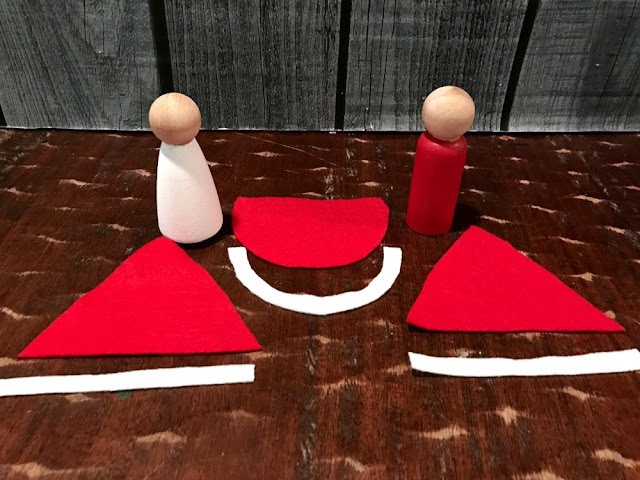 A simple triangle is what you'll need to cut for the hats and a circle with the top sliced off for her cape. Then, cut the white felt to trim the hats and to trim the cape. Hot glue these in place. 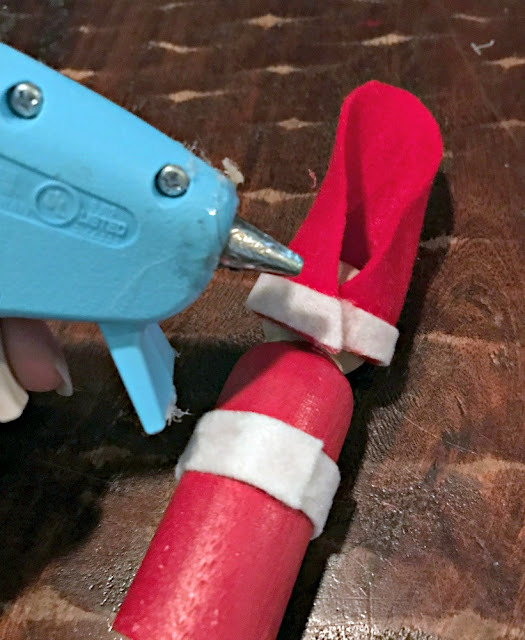 When the paint on the dolls is dry, you're going to simply hot glue the accessories on. For the hats, wrap them around the doll heads, keeping them low over the face. Hot glue one side on the back, continue wrapping the other side around tightly, and glue in place. 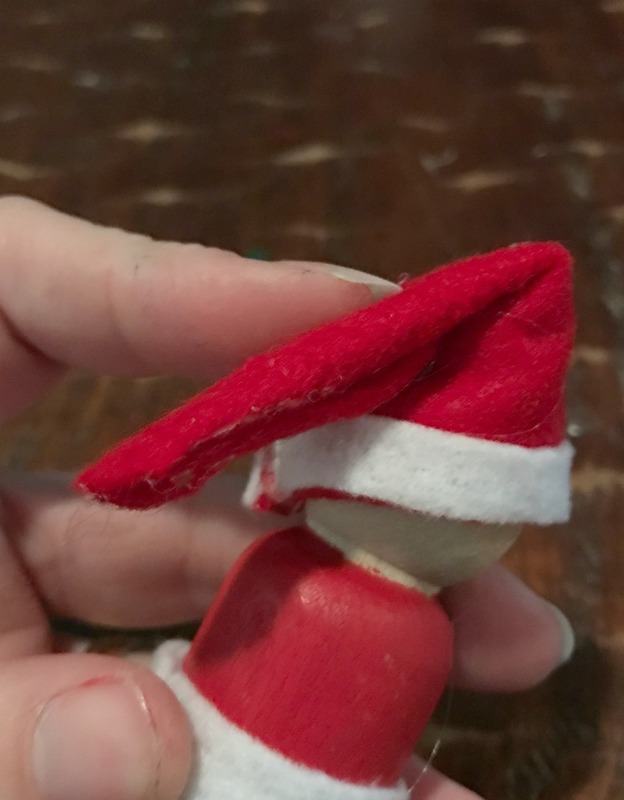 Then to make the point, fold down one side of the hat from top to the doll head and place a line of hot glue, and glue the other side down over it. Last, hot glue the white pom pom, and if you don't want the hat to be pointing straight up, bend it over an glue it down. For her cape, fold down the top half of the circle where you cut it off, this creates a nice little cuff. Then wrap the cape around her body, and hot glue in place. Cut a white piece of felt for his belt, wrap it around his waist, and glue in place. 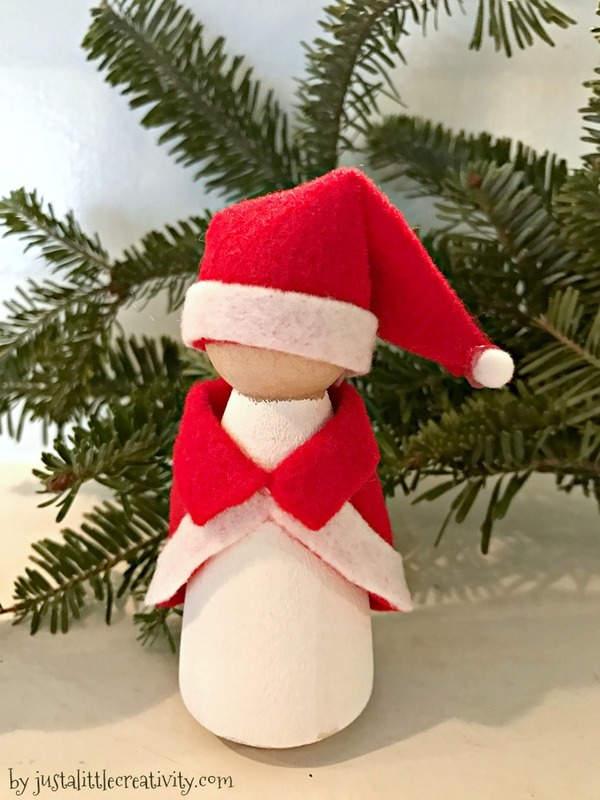 You can make these into ornaments by adding a ribbon to the backs of the dolls. These don't have to only be Mr. & Mrs. Clause, you could use a variety of felt colors and turn them in to little Christmas elves as well.